The Republicans’ main campaign and fundraising organ spent tens of thousands at high-end stores, such as Saks Fifth Avenue in St. Louis and New York (49,425 dollars) and Neiman Marcus in Minneapolis (75,062 dollars), according to a report. The RNC also spent 4,716 dollars on hair and makeup through September. Those kinds of expenditures did not appear in the RNC’s financial disclosure records before the Alaska governor was named to John McCain’s ticket in August, it added. 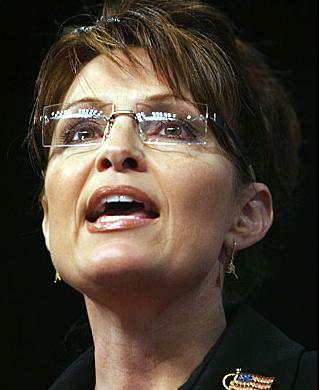 The McCain-Palin campaign issued a statement shortly after the report appeared online. Sarah Palin gave birth to a son, her fifth child, earlier this year. Another 4,902 dollars were “spent at Atelier, a high-class shopping destination for men,” the report noted.